My name is Colleen and Chiara has graciously allowed me to write a guest blog for her site! I am super excited but please bear with me, this is the first time I have ever done something like this.Chiara and I met through a program called Foodie Penpals. If you aren’t familiar with Foodie Penpals….each month you are assigned a name to send a small package to and another person gets your name. Chiara sent to me this month and the penpal I sent to was in California. I thought the best part was going to be thinking about and collecting everything to send to my foodie penpal….that all went out the window when my package arrived!! I swear Chiara and I must have been BFFs in a past life, she couldn’t have put a better box together for me!! 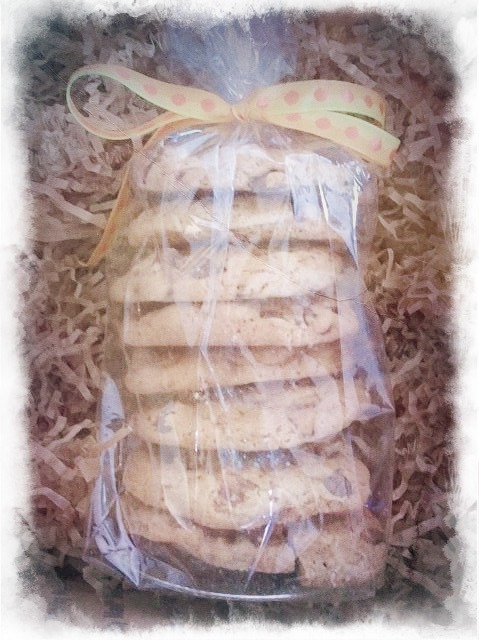 Bacon Chocolate Chip Cookies?!?! Are you kidding me?!?!? I.Am.In.Love. Those cookies were seriously the best thing I have ever put in my mouth!! Chiara asked me a little bit about myself and I told her that I loved sweet and salty combos and that I was currently training for my first 5K. Included with the BCC Cookies was a huge Hazelnut and Milk Chocolate Bar! 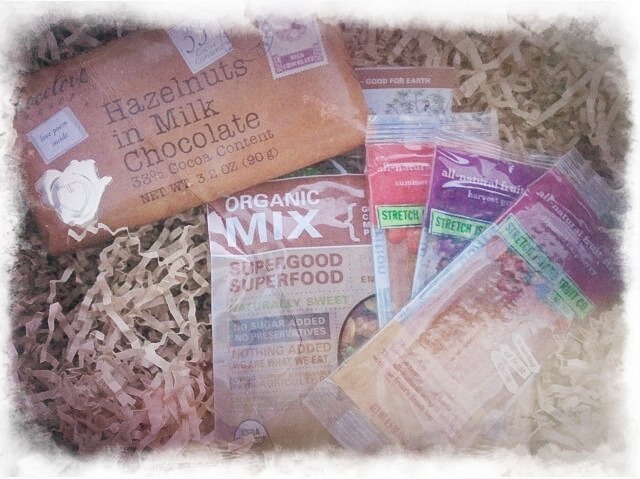 She also included a package of SuperFood and Fruit Leather. So So Good after a good training session!! My favorite by far (well, except for those darn cookies!!) 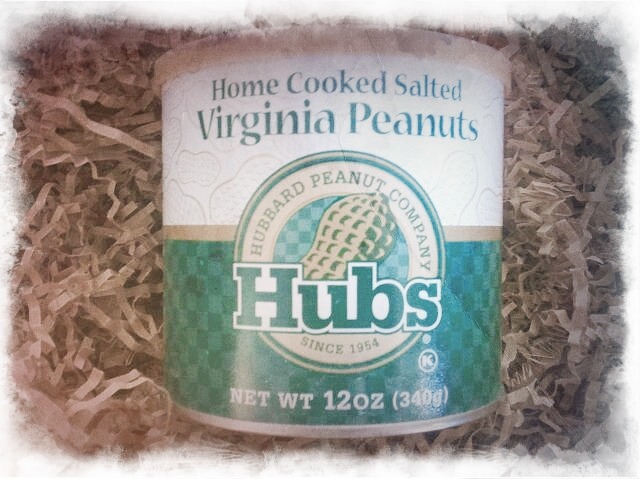 was the can of Home Cooked Virginia Peanuts (I had to rip them from my husband’s hands! )…don’t even get me started on the Carrot Chips she sent. I’ll admit I was leery of them at first but I honestly had to tear myself away from them!! Thank you so much for the amazing package Chiara!! I loved everything!!! 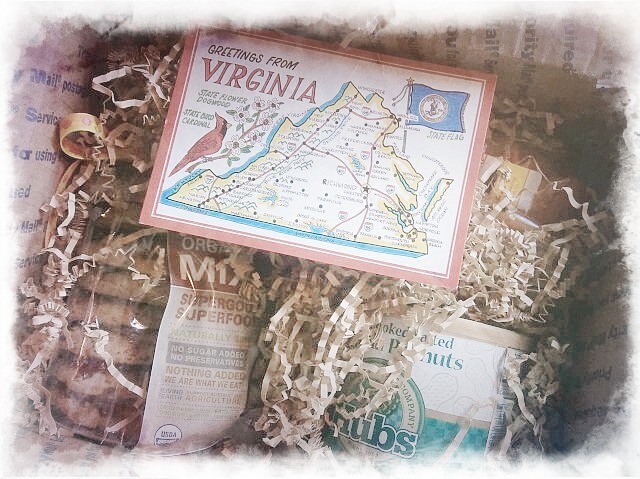 May Foodie Penpals: The Reveal!